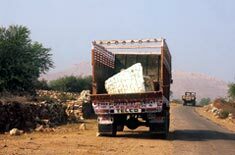 The Supreme Court has partially lifted its blanket ban on mining in the Aravalli hills. Mining is now permitted in some parts of the 250-kilometre stretch. The apex court has modified its earlier order providing relief largely to Rajasthan and parts of Haryana. The court had earlier categorically ruled out mining activity in forest areas and sanctuaries, even if "prior permission" had been obtained. Now, mining will be allowed in some areas if prior permission is obtained under the Forest Conservation Act and the Environment Protection Act.